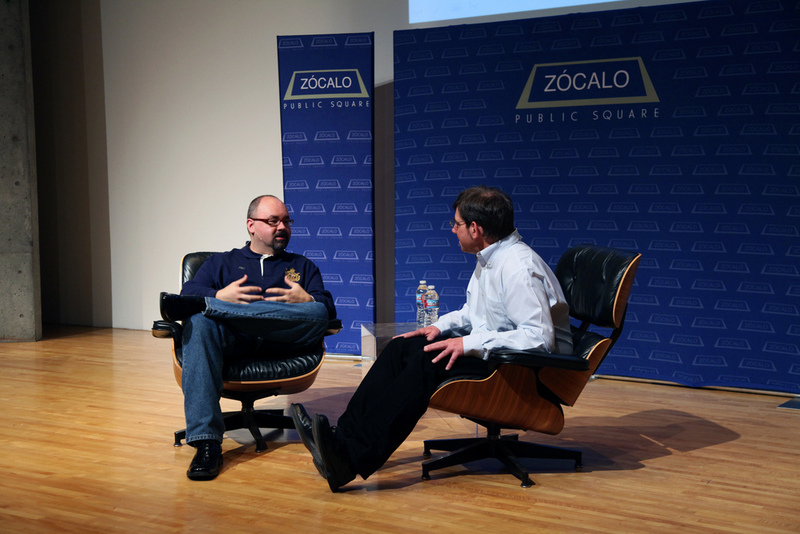 Kleffel, who runs the book review site The Agony Column, visited Zócalo to chat with Carlos Ruiz Zafón, author of The Angel’s Game and The Shadow of the Wind, whom he called “one of our most read and best loved writers.” Zafón, whose books have been translated into more than 40 languages and published around the world, chatted about his life, his inspiration, and his work. Zafón explained how he began to learn his craft – first by reading, analyzing, and mimicking stories he loved, including the visual stories found in film, comic books, photography and elsewhere. “You have to work and work and work. A writer should write thousands of pages no one’s going to read before you earn the right to write one page that deserves somebody’s time,” he said. Zafón’s The Shadow of the Wind and The Angel’s Game are both stories about stories. But they differ in significant ways, he noted. The former is told from the perspective of the reader, and is a “sweeter story” about falling in love with literature. The latter is about the storyteller, who is essentially “descending into madness,” Zafón said. One’s about redemption, the other is about damnation. “The Angel’s Game is a feel-bad story. it makes you feel bad about the world and bad about yourself,” he said. Watch a highlight clip here. Buy The Angel’s Game and The Prince of Mist. Read excerpts from The Angel’s Game and The Prince of Mist. 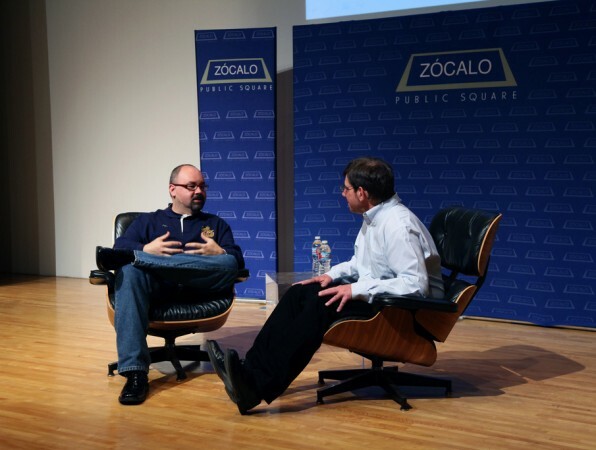 Read In The Green Room Q&As with Carlos Ruiz Zafón and Rick Kleffel.